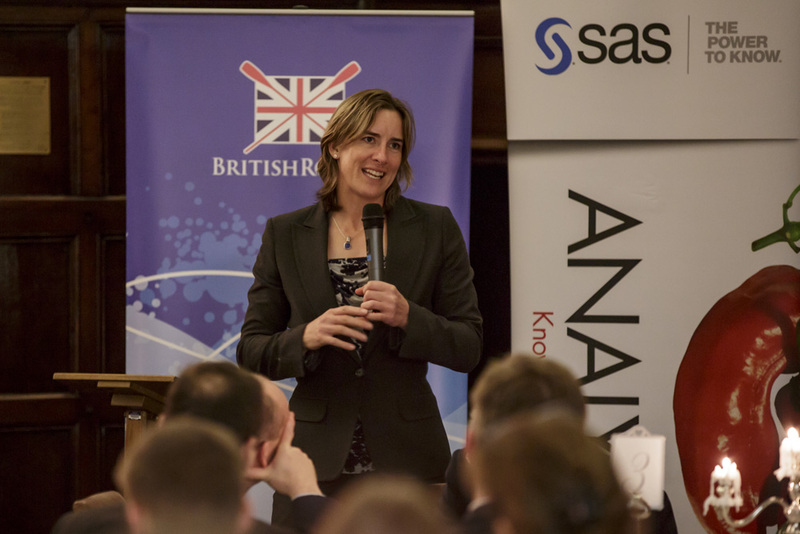 Katherine Grainger paid a heart-felt tribute to the support staff who have been a pivotal part of her success in her opening speech ahead of last month’s World Sport Science and Medicine conference. The event was hosted in the UK jointly by British Rowing and FISA, the international rowing federation. “My career has been longer than I planned and more successful than I ever expected”, she said. “A lot of that is down to the sports science and medicine support I have received. These people have helped me go out and realise my dreams,” she said. 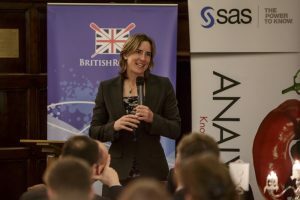 Grainger talked with passion, during a speech delivered at Bisham Abbey, about how the sport’s knowledge of the role of data and science has grown since her international rowing career began back in 1997. “One of my early coaches was concerned about the limitations that science might impose on us as athletes, but over the years I have seen that rather than creating limits, science actually does the opposite, it expands the possibilities”, said the London 2012 Olympic gold medalist. Delegates at the conference heard two days of presentations from global experts on topics as diverse as injury prevention and the role of big data in improving performance. The conference was hosted in Marlow at the headquarters of SAS UK & Ireland, the GB Rowing Team’s official analytics partner. Grainger also relived the moment in 2003 when, as a recently-crowned World Champion, she fell prey to a serious back injury which looked like it might derail her dreams of an Olympic medal the next year. A breakthrough moment came when she could finally lift her heel just a few millimetres off the ground, which had seemed impossible in the days and weeks beforehand. It prompted an outbreak of euphoria from Katherine and all her team mates. “That’s when I realised more than ever that there are all these fantastic individuals who are incredibly passionate about what they do in support of the athletes they work with. The doctors, the physios, the strength and conditioning experts formed a tight team around me,” she said. After 2004, Grainger and her coach Paul Thompson increased the search for the smallest of margins that can make the difference between success and perceived failure. “To our team of physiologists and physiotherapists and conditioning experts we added bio-mechanists. These guys measure everything – length, distance, force, pressures and they find data that I never even knew existed and my coach loves data. I never knew you could have so much data! But we wanted to find those margins,” she said. Grainger was part of the women’s quad that took silver in Beijing – beaten so agonisingly by the Chinese in the dying metres of the race. “We felt we had let everyone down. The whole support team, the whole squad, the whole nation. 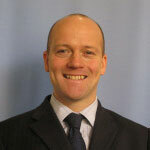 It was devastating”, explained Grainger of the sense of failure. Yet only eight years earlier she’d been the first woman to claim an Olympic medal in rowing, such had been the change in expectations. Many thought that Grainger would retire at that point but she has continued in the sport she loves with the support of a significantly dedicated team. She said: “I love what I do. I love rowing. To be back in the squad and part of a sport which is full of incredibly motivated and inspiring people who are all focused on something very simple. It is the most exciting world to be in. Discover how analytics in sports is becoming the new science of winning.